The Housing and Support Alliance (H&SA) has been funded by NHS England to write a guide for families on how they can change their environment or housing situation to better meet the needs of their child with learning disabilities and challenging behaviour. H&SA is also writing a guide and producing a training video for housing, health and social care organisations so that they can better help families get the housing they need. We want to make sure that the guide and videos are as useful as possible to families and professionals, so we are asking for your help to tell us about the areas in which you most need advice, support and information when it comes to getting the right housing. Families to tell us about their experience of getting the housing their children with learning disabilities and challenging behaviour need. Please complete survey1 to help us! Examples of where families have managed to get a good housing solution that makes life better for the disabled child and their family. H&SA would like contact with families that are willing to tell their story and/or be part of a film. Please complete survey1 to help us! Information from housing, health and social care professionals that work with children with learning disabilities and challenging behaviour (and their families) on housing issues. Please complete survey2 to help us! Details from housing, health and social care professionals that work with children with learning disabilities and challenging behaviour (and their families) on housing issues, that are willing to share examples of what works and what doesn’t work for the guide and/or training film. 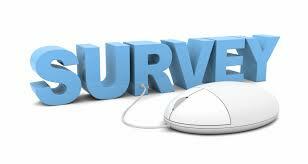 Please complete survey2 to help us!